ARDX Founder, CEO, and President, Dr. Angela D. Reddix, is a visionary thinker with a global perspective and entrepreneurial drive, which inspires her planning and decision making. 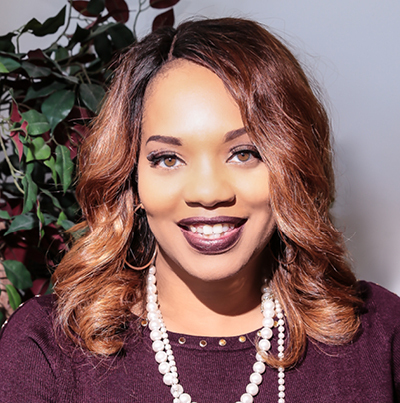 As a committed lifelong learner, Angela received her bachelor’s degree in Business Administration and Marketing from James Madison University, a master’s degree in Organizational Development with a focus on training from Bowie State University, a graduate certificate in Healthcare Compliance from The George Washington University, and her Ph.D. in Business Administration from Oklahoma State University. Using skills and experience gained early in her career, Dr. Reddix created ARDX as an independent healthcare consulting organization in August of 2006 and incorporated within a few months. Since that time, ARDX has emerged as an award-winning, thriving healthcare management and IT consulting firm with multi-million-dollar contracts and a staff of more than 125. As a Certified Professional in Health Information Technology and in Electronic Health Records working on highly technical projects for the Centers for Medicare & Medicaid Services (CMS), Angela now serves as a valued key advisor on essential government data management systems and as a consultant on highly-visible health information management programs. Dr. Reddix’s vision has created an organization that is committed to improving the lives of our most vulnerable populations by enhancing healthcare practices and exercising social responsibility. Angela brings her belief in social responsibility to life by spearheading several community outreach programs each year, such as the Healthcare Academy to combat obesity among youth; an annual Women’s Wellness Celebration to provide women with information about health, wellness, and financial wellbeing; the Virginia Healthcare Consortium designed to bring together leaders and advocates from various healthcare and community organizations to discuss social determinants of health and social and cultural competency; and various events to commemorate National Minority Mental Health Awareness Month. Dr. Reddix’s unique ability to inspire greatness through the lessons of her own story earned her the 2018 Virginia Center for Inclusive Communities’ Humanities Award and the 2017 Women of Achievement Award, presented by Old Dominion University, among other notable achievements. As a trusted community leader, Angela serves as a board member and trustee for various local organizations including the United Way of South Hampton Roads’ Foundation Board of Trustees, YWCA Board of Directors, Junior Achievement Board of Directors, Kempsville Entrepreneurship Academy Board of Advisors, Norfolk State University School of Business Advisory Board, and the Hampton Roads Chamber Regional and Trustee Board.